VOXINDICA: Why did the original Constitution exclude the words ‘secular’ and ‘socialist’ in the preamble? Why did the original Constitution exclude the words ‘secular’ and ‘socialist’ in the preamble? The Constituent Assembly debated at length on the inclusion of the words ‘secular’ and ‘socialist’ in the preamble. 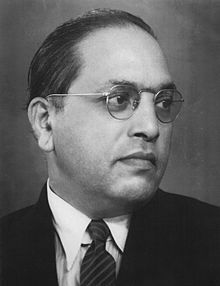 Dr. B. R. Ambedkar, the Chairman of the Drafting Committee explained why it would not be in the interest of democracy to tie the nation for eternity to concepts which seemed attractive at the time. The Indian Constituent Assembly comprising 389 of the best and brightest minds worked for three years to produce the longest written Constitution in the world. The wise men of the Constituent Assembly debated the inclusion of the words ‘secular’ and ‘socialist’ at length and decided to leave them out of the Preamble. Dr. B. R. Ambedkar, the Chairman of the Drafting Committee opined that inclusion of these terms in the Preamble would limit the scope of democracy. The Constituent Assembly thereafter rejected a motion to include the words ‘secular’ and ‘socialist’ in the Preamble. However, Ambedkar’s prediction about political leaders using amendments to the Constitution as political tools did not have long to wait. In less than eighteen months after the Constitution was adopted on November 26 1949, Jawaharlal Nehru enacted the first amendment inserting Article 19 (2) to curtail the fundamental right of freedom of speech. There were other amendments but it was his daughter Indira Gandhi, who made wholesale changes to the Constitution during the 1975-77 Emergency, she imposed on the nation. Her 42nd amendment act included the words ‘secular’ and ‘socialist’ in the Preamble. Enacted in 1976, the one amendment rewrote more than 50 articles and Schedules! With the entire opposition in jail, she did not have to bother with the nuisance of debate and discussion of the clauses. Thus, there are three different meanings to the word ‘secular’. The first was the original European connotation in which it meant separation the Church and the State. Then there is the connotation as envisaged by the Constituent Assembly and as defined by Ambedkar, which meant equality of all religions. 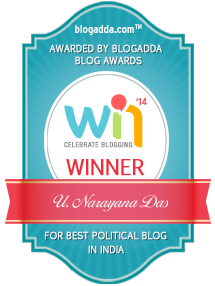 The third connotation is the political tool, which the Congress party and more specifically Indira Gandhi and her successors put to good use for garnering minority votes. In essence, the use of secularism as a political tool involves appeasing minority vote banks to queer electoral arithmetic for electoral gains. It has different connotations in different political contexts. It has one meaning in Hindu majority states and quite a different meaning in other states where Hindus are in a minority. By the by Indira Gandhi’s famous Constitutional amendment which inserted the words ‘secular’ and ‘socialist’ in the preamble is yet to be applied in Jammu and Kashmir. The Hindu religious bodies alone are state controlled and their incomes appropriated by state governments. The Right to Education Act (RTE) 2009 enjoins public and private educational institutions to provide free education to students to the extent of 25% of their strength. However, the RTE act is not applicable to educational institutions run by minorities.